This is a multi disciplinary field that deals with the Physiological, Biomedical, Psychological and Pathological phenomena that are associated with exercise & sports. True sports medicine environment is one that only deals with injury management but also various aspects of exercise and sports performance. Clinicians practicing sports medicine often have backgrounds in Physical therapy, Athletic training, Massage therapy, Sports nutrition and Exercise physiology. This team approach allows a facility to offer their clients a broad spectrum of services and a more comprehensive care. One of the goals of sports medicine is better understanding of how the injuries occurred and what treatment options are available. 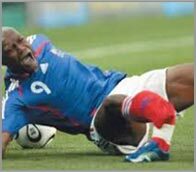 One of the greatest advances in sports medicine is the after treatment of injuries. Physical Therapy and Occupational therapy programs and protocols have been developed for various conditions. This allows many injuries to be effectively treated non-surgically and still allow them to heal while the athlete is participating in sports. The newer post operative regimes allow many athletes to return to sports, weeks or months sooner, then they had done previously prior to the advances in rehabilitation methods. Bangalore Orthopaedics & Sports medicine Centre has specialists trained in sports medicine who can take care of Professional athletes as well as common man with sports related injuries in an effective and professional manner.